If you’re joining us for the first time, check out Part 1: The Problem and Challenges. If you missed the last entry, take a read through Part 4: Permadeath. Last week we talked about permadeath, a complicated issue to cover despite its deceptive outward simplicity. It’s so complicated that I said that I would continue talking about it this week as well. However, don’t worry, it’s not just more of the same. The permadeath I spoke about last week is what I would call “traditional” permadeath. What do I mean by traditional? Well, permadeath like you find in a lot of old arcade and early console games — stereotypical permadeath. Permadeath where the player is FORCED to start a new game when they die through it deleting their save file. However, if you remember, the way I chose to describe permadeath in the last installment was “when death in a game works in such a way that, when the player dies, their character is dead permanently. They aren’t coming back unless the game restarts.” If you notice, I didn’t state that the player HAD to restart in that statement, only that they needed to restart in order to get that character back. Clearly, that definition of permadeath leaves a little wiggle room beyond this traditional permadeath. This space is inhabited by games with often particularly creative and interesting death mechanics. These games employ what I’ve settled on referring to as light permadeath. What I mean by light is permadeath where the player is able to continue the game without restarting but lose any player controlled character(s) that die. It is this light permadeath that is the focus of this week’s installment. Games which employ light permadeath can be split into two main camps or subclasses (though I’m sure there are acceptions to this rule, like any other). The first subclass is games where the player can continue the same game (or run) but have to come back as a new character. By doing this, games in the subclass can allow players to maintain some level of progress that they had before their death. This is just about the least permadeath a game can get away with while still meeting the definition I laid out. In a sense, games like these have merely given a run of the mill non-rewind style respawn mechanic a permadeath makeover. An example of a game in this subclass would be Zombi. The second, and frankly more interesting, subclass are games which have the player controlling a cast or multitude of characters as they play. Sometimes games in this subclass have the player control the full cast at once while other times they juggle who the player is controlling at any given time. By having a cast of player controlled characters, a game can have player controlled characters deaths be permanent while still allowing the player to keep going as long as they have surviving characters. Examples of games which fall into this subclass are XCOM and Until Dawn. To fully appreciate the advantages of light permadeath, it’s useful to look back at part 3 of this series. In that installment, I discussed three classes of how mechanics assign weight to death. The three classes were mechanics which penalize death, mechanics which affect the world, and mechanics which affect the story. Traditional permadeath falls into only one of these categories: penalizing death. As we have discussed, traditional permadeath can penalize death intensely (potentially too intensely), but what light permadeath does is trade some of the power in one class for the ability to fall into the other classes as well. In Zombi, the player can come across the zombie remains of their previous character. Then proceed to beat those remains back to death. Games which allow the player to continue from a certain point through a new character can, of course, still penalize death very effectively in a few ways. First, the player loses progress in the game by being sent back to whatever point at which the new character is allowed to start. Second, the game can have there be some level of randomization or detriment applied to the abilities/attributes of the new player character. Third, any leveling and/or progress (and thus the time and energy the player put in for that) specific to the character that dies is lost. An interesting twist on this is the player being able to recover some equipment or experience off the remains of their previous character, such as in Zombi. When it comes to affecting the world, the fallen character’s death can have effects on the world the player experiences, such as having non-player characters comment to the player about their previous incarnation (example being something like “I wouldn’t go in there. Some poor fool did a while back, and they haven’t been seen since”). Beyond that, the dead character themselves can serve as the effect on the world. Zombi once again provides an excellent example by having the player’s previous character be a zombie which the player can defeat to reclaim equipment as mentioned before. The downside to this subclass of light permadeath is that it’s difficult to have it affect the story in any meaningful way. The death of any of the player controlled characters in Until Dawn can have major effects on the story. When it comes to games which allow the player to continue through controlling a multitude of characters, all three classes of how a game assigns weight to death are achievable. Penalizing death is achieved through the player permanently losing access to one of their controlled characters. This becomes quite a powerful method of assigning weight to death when characters have unique equipment and abilities which are lost along with them (notice that if the player has put time in to level up and improve a character/character’s abilities, then losing that character loses them progress without setting them back in the overall game). Another way a game could make losing a character more impactful is by having lost characters be non-replaceable (that is to say that if a player starts with four characters and one dies, they will have three characters at their disposal for the rest of the game or until they lose another. Then they would only have two). Affecting the world can be achieved by showing the player aftermath and effects of the death(s) of player controlled character(s). One, admittedly cheap, example of how this could be done is by having the player encounter reminders of the lost character(s) like other characters (potentially player controlled ones) express grief or coming across a grave or left behind belongings of the fallen character (got to have that cheap emotional manipulation, am I right?). Lastly, affecting the story can be done by having multiple paths for the story to go down as in the previously discussed Until Dawn (to see that discussion of Until Dawn, see part 3). The major disadvantage of light permadeath is that it makes it extremely difficult, if not impossible, for a game to have a true singular main character. As a result, the kinds of stories that a game can tell while employing light permadeath are limited. Any story where the player would be playing from the perspective of the main protagonist and/or subject of the story is pretty much off limits without some sort of work around. That means things like the hero’s journey (which many classic video games, for instance Shadow of the Colossus, fall under) aren’t readily compatible with light permadeath. Another disadvantage of light permadeath is that it risks discouraging a player from putting much effort into customizing a character or otherwise investing time or emotion in a character since that’s effort which can easily be lost. As I hinted at earlier, I find the cast style of light permadeath to be more interesting and just more advantageous to employ. The thing is that the problems stated above affect the new character subclass more. Like I mentioned before, in many ways that subclass is just a non-rewind style respawn mechanic with a veneer of permadeath. Most of how this subclass can assign weight to death is achievable through that style of respawning and yet having a respawn doesn’t render those stories off limits nor does it discourage the player from investing in a character. In fact, I struggle to think of any story that one could tell with that subclass of light permadeath that CAN’T be told with respawns. 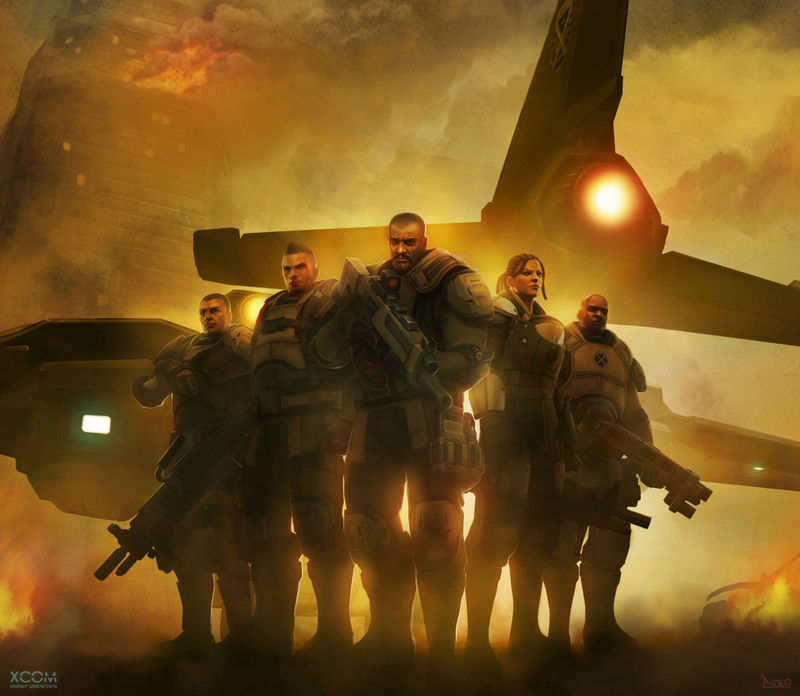 XCOM has the player control a multitude of characters forming a squad as artistically depicted. 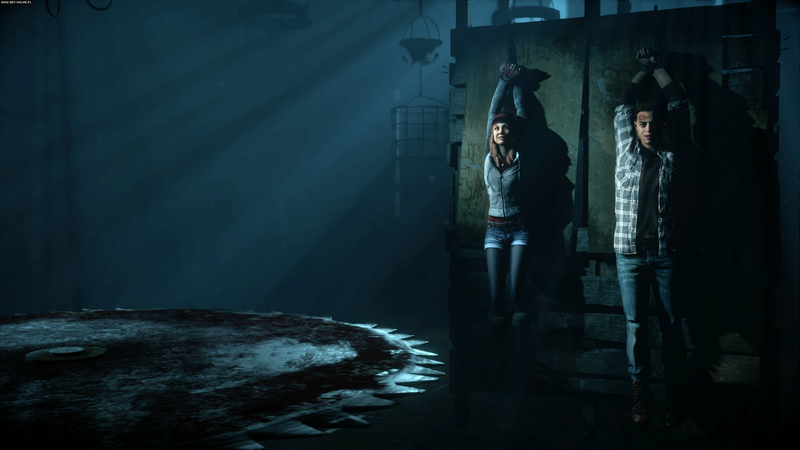 By contrast, a story/set of possible stories like in Until Dawn really can’t be told without the style of light permadeath in which the player controls a cast of characters. That means that a game is trading away the ability to tell some stories but gaining the ability to tell others. On top of that, I’ve known one particularly creative player to actually use the multitude of characters he had in XCOM to get himself more emotionally invested in the characters. He named one character after himself and the rest after his brothers, turning the whole game into a sort of family epic without leaving the comfort of his couch and controller. Even without this creativity on the part of the player, games with cast style light permadeath can still push to a player to get more invested in the characters. Unlike in the new character style, the likelihood of a character the player controls making it a significant distance into the game (or even to the end) can be decently high. That, in combination with the player not needing to project themselves onto any given character, means that the game can do a good job of developing the characters as individuals. As a result, there’s a better chance of the player finding themselves emotionally invested in characters they control and thus they’re more likely to put the time in to level up and better equip characters to help them survive. The bottom line is that while both subclasses of light permadeath are more flexible than traditional permadeath, the new character style of light permadeath has more drawbacks and limitations with less payoff. The only big thing that the new character subclass brings to the table, at least to my eye, is a certain amount of novelty which can make a game stand out against a crowd. This rounds out what I have to say about permadeath as a topic, both traditional and light. While I’m sure there are details and tidbits that I may be overlooking or failed to even conceive of, this, along with the previous installment, should cover permadeath fairly well. While simple or even crude on the surface, with a touch of creativity and/or investigation, permadeath blossoms into a rather dynamic genre of death mechanics which can do an excellent job of assigning death its deserved weight while still setting a game apart from the crowd. The next installment will cover death mechanics which involve respawn and save restorations. Much like permadeath, I think it will turn out to be far more complicated that one might initially suspect. If that sounds interesting to you, be sure to check back in. The next installment should be out Wednesday, March 20. I wonder what happened to good old savepoints?